If possible use online retailers/brands you are aware of and trust. Major brands always go to the official website to find a list authorised sellers. Make sure you have adequate anti-virus software that will enable your computer to flag any untrustworthy sites. 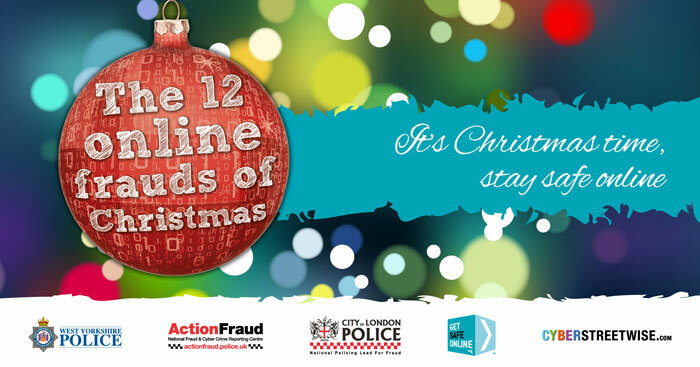 If you recieve an anonymous e-card, better to play it safe and delete the email as it could be infected. Use a reputable anti-virus product on your electronic device, making sure it is regularly updated and always turned on. If you believe your electronic devices has been infected, switch it off and disconnect from the internet to prevent further information being stolen. For advice on free malware removal tools go do www.cyberstreetwise.com. Also contact your bank and change passwords and usernames. Always use recommended methods of payment rather than transferring money direct to a seller. Research the seller before you bid. If available, check their feedback but be mindful this can also be falsified. Be cautious when buying from sellers abroad or private individuals. If you are in any doubt, back out of the sale. If you are collecting what you have bought, take someone with you or let someone know where you are going. Always pay with a credit card; if they don't accept don't buy from them. Use companies that are ABTA or ATOL protected. Verify this protected status by contacting the Civil Aviation Authority. Research the internet and consider the reviews of the company/person you wish to use before booking your trip. Authentic loan providers will not ask for an advance fee. If they ask for an advance fee just say no. Research any loan or investment companies online before making any financial commitment. Also make sure to read the terms and conditions. If the loan or investment opportunity seems too good to be true, it probably is. Never set up a loan or make an investment which starts with a cold-call. Always better to just hang-up. Go to www.fca.org.uk for a list of unauthorised firms and top tips on how to avoid dodgy investments. Only look at tickets from reputable websites that are secure (showing a padlock) and before buying do an internest search for reviews on the gig/sporting event to see if anyone has fallen victim to a ticketing scam. Avoid entering your bank or credit card details on public or shared computers. Make sure you have agood, up-to-date anit-virus software on all your electonic devices. Visit the charity's website by typing the address into your browser rather than clicking on a hyperlink embedded in an email. Before you donate, check the website you are on is secure - the web address should begin with https:// (the "s" stands for "secure") and look for the padlock symbol. Do no respond to requests to donate through a money transfer company such as Western Union or MoneyGram. If you are still worried, a legitimate charity will advice you on other ways to give on their website or via a phone call. Make sure you have the latest versions of software installed for increased protection. Only download apps from official app stores like Google Play and Apple Store and always check reviews and ratings as well as developer information before downloading a new app. 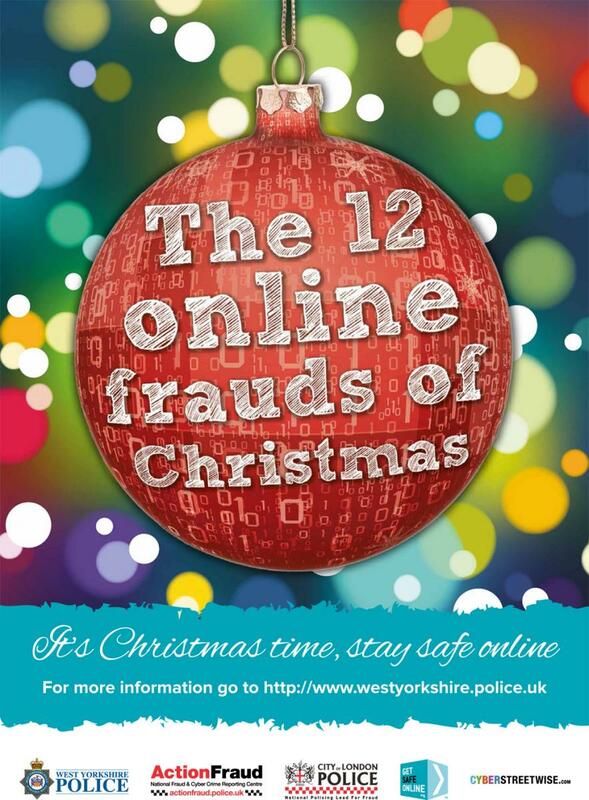 Do not click on links in emails from unknown sources or visit suspicious websites on your new devices. Never send money transfer for online purchases. Wait the six or seven working days it takes for a cheque to clear before transferring any money or sending/mailing any goods. Doing this will mean you don't lose anything even if the cheque bounces, proves to be fraudulent or is cancelled. Never send money in advance to obtain a loan or credit card or to pay for "processing fees" on lottery or prize winnings. Never provide your banking information to people or businesses you do not want. Do not have too much personal information on social media accounts which could allow your bank accounts to be compromised. Be wary of installing add-ons to your internet browser as some can be used to extract personal and financial information from your search history. If you click on a social media advert do the necessary checks before buying anything from the website you land on. Guard your privacy when chatting online and be selective with the information you provide about yourself. Trust your instincts, if something feels wrong take steps to protect yourself. Do not save passwords or personal/financial data on your mobile device unless it is absolutely necessary and make sure the phone is passcode protected. If stolen, most mobile devices have the software to wipe all data from their memory remotely - learn how this works. Do not leave your Bluetooth on as cyber-criminals can hack into your device unnoticed. Also install anti-virus software and check the security features. Worried your partner may have an abusive past?